I will be March's 'Ask A Writer' guest on David (Stargate Atlantis) Hewlett's http://www.dgeek.com/. Visitors to the site can post their writing questions at the site and I'll answer them. Should be a fun time. You have to register to post at the forum, but it is free to register. Stop on by and ask away starting March 1st. 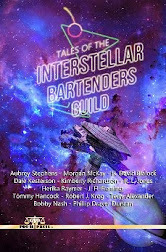 Bobby is proud to have his short story, 85 North, included in the upcoming 4th volume of the Tales From The Zero Hour series, Weird Episodes from the Zero Hour! Zero Hour! 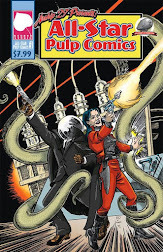 4 is an homage to the weird fiction magazines of the pulp era. 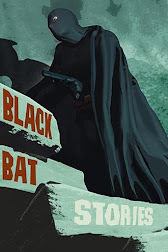 Books like Weird Tales, Strange Tales, and even, to some extent, the Tales from the Crypt comic book helped to really cement the idea of horror and fantasy fiction into the collective unconsciousness, inspiring so many of today’s masters. 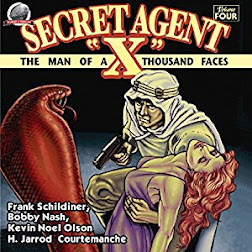 Of course, weird fiction is kind of a subjective term… one of the really interesting things about this book is seeing how different authors interpret the theme differently. and finally, Jason Butkowski, the managing editor of Episodes from the Zero Hour! and creative mind behind Zero Hour! properties, “Knuckles, Tough Guy for Hire,” “Federal City Nocturne,” and “Rex Rockwell, Weird Game Hunter,” will be back again. 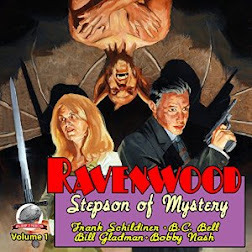 Jay’s breaking the one-shot rule with another Rex installment, and is contributing a second strange tale to the mix. So, there you have it. 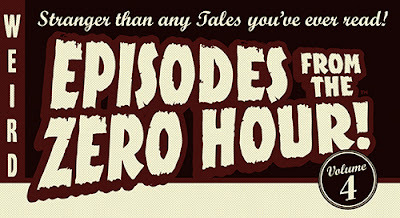 Keep an eye peeled for Episodes from the Zero Hour!, Volume 4 to hit book shelves some time in the spring of 2011. We'll post more news here when it is available. 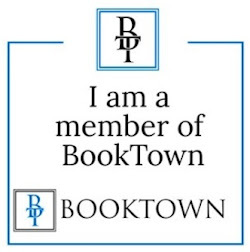 Get 20% off on 6 of my books through February 21. Use discount code HAPPY305 at check out. 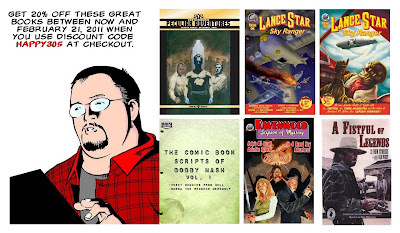 This includes all Airship 27 and Pro Se Press titles. Earth Station One Episode 46: Great Couples? Earth Station One Episode 46: Does King Kong and Fay Wray Count as a Great Couple? 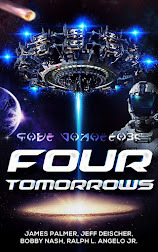 Click http://erthstationone.wordpress.com/2011/02/11/earth-station-one-episode-46-dose-king-kong-and-fay-wray-count-as-a-great-couple/ and find out. This weeks episode of the ESO podcast, we will be taking a look back at the recent Atlanta Comic Convention., and talk to some of our friends and get some reactions from the show. Also we talk about our favorite Sci-Fi / Fantasy or Comic Book couples to help ring in Valentines day. Join us for another fun filled podcast that we like to call Episode 46: Does King Kong and Fay Wray Count as a Great Couple? 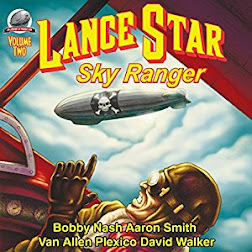 Airship 27 Productions and Cornerstone Book Publishers take to the skies with the release of their reprint edition of LANCE STAR – SKY RANGER. 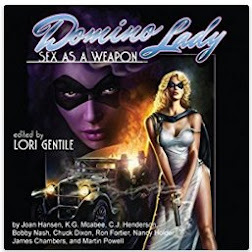 This collection of new stories starring the long forgotten pulp hero was the first anthology title produced by Airship 27 Prod. dated 2006. 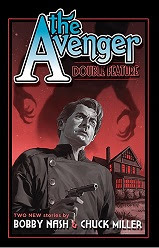 Its overwhelming success helped launch the company’s ambitious plans to bring back classic pulp characters in brand new adventures. 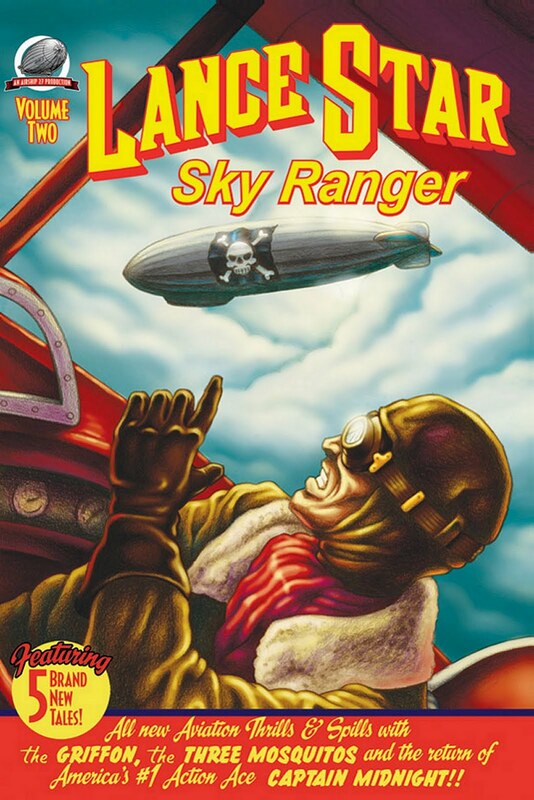 "Without LANCE STAR – SKY RANGER, there probably would have been no Airship 27 Prod." claimed Editor Ron Fortier. 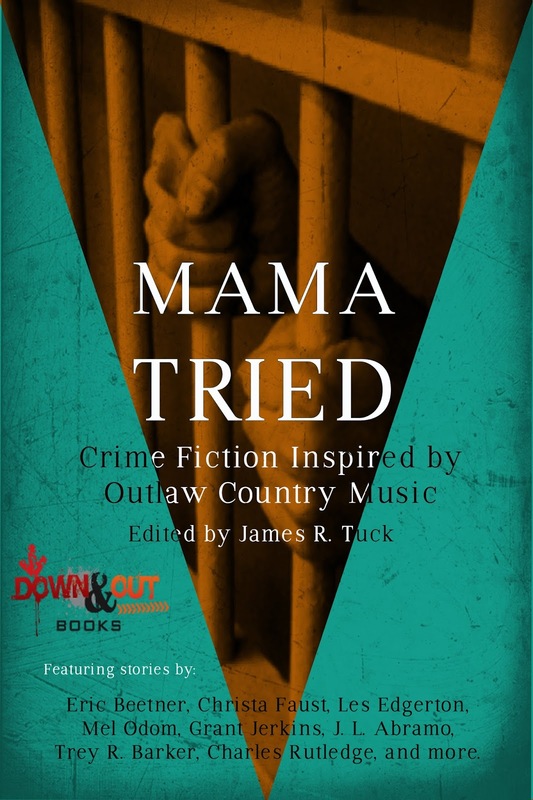 "It was the book that got us going." 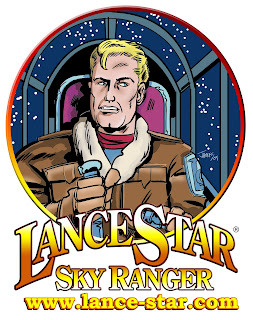 To learn more about Lance Star: Sky Ranger, visit www.lance-star.com. Pulp Ark interviewed Writer Bobby Nash about receiving a 2011 Pulp Ark Award Nomination in the category "Best Pulp Related Comic" for his work on the Lance Star: Sky Ranger Comic Book "One Shot!" with artist James Burns. November, 1941. 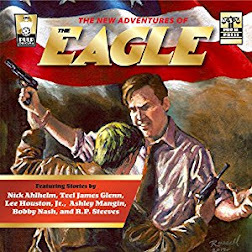 Ace Air Adventurer Lance Star accepts a dangerous mission into an enemy stronghold to stop the Nazi’s from uncovering plans for a weapon long believed destroyed. 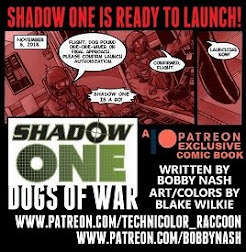 Lance flies a solo mission to Kiev where he is to plant explosives and destroy a weapons facility when he runs into an old enemy. Now, Lance is faced with a choice. Complete the mission? Or take down the Sky Ranger’s greatest adversary? He’s only going to get one shot at this. Will he choose the mission or revenge? 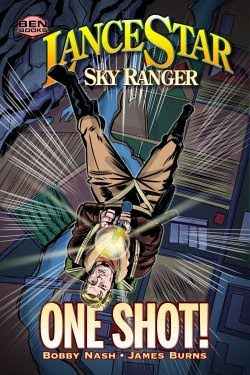 Featuring high-flying adventure, aerial dog fights, explosive action, and stunning artwork, Lance Star: Sky Ranger "One Shot!" 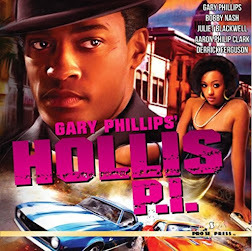 is pure pulp fun from start to finish. 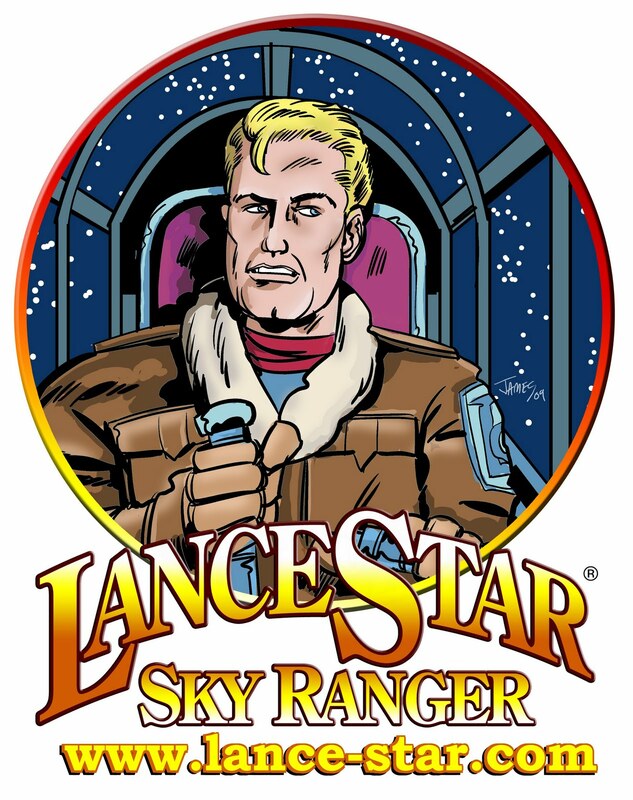 "Lance Star: Sky Ranger "One Shot!" is exactly the sort of high-flying, action-packed air war yarn I really enjoy. 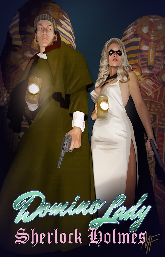 It's fine pulpish fun from start to finish. 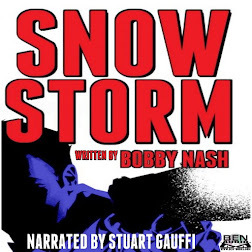 Bobby Nash and James Burns are aces!" 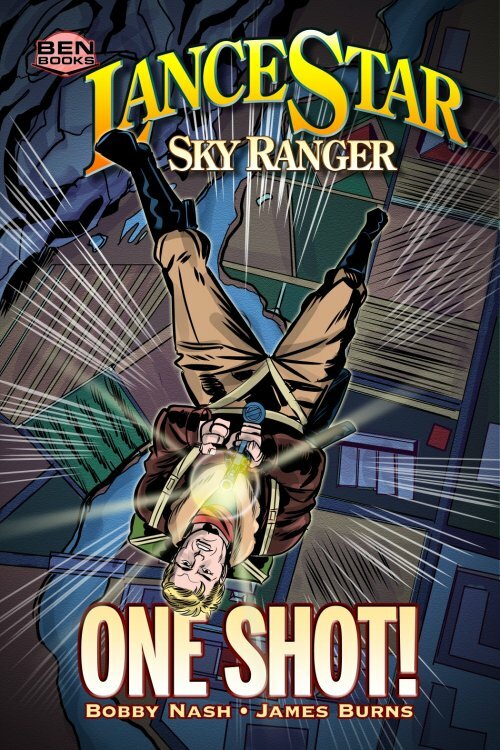 Lance Star: Sky Ranger"One Shot!" 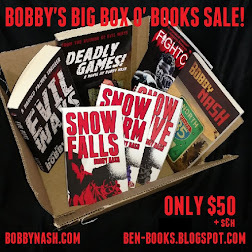 "Read Bobby Nash's work. Your life will be better because of it. Trust me, I know!" 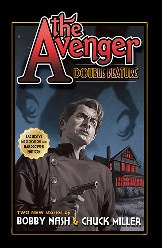 Based on the characters created for the Airship 27/Cornerstone Books Lance Star: Sky Ranger pulp anthologies that can be found at http://www.gopulp.info or wherever your favorite pulp fiction is sold. 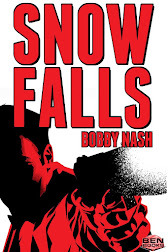 More high-flying action is on the way with the Lance Star: Sky Ranger novel, "Cold Snap" by Bobby Nash. 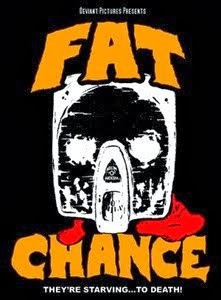 Coming soon.Keep watching www.lance-star.com and www.bobbynash.com for updates. 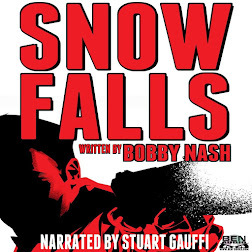 "Do not miss this brilliant piece of work! Excitement, adventure, wonderful writing, dazzling artwork...I am green with envy!" 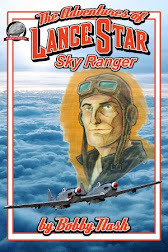 Since 2006, Lance Star and his air aces, the Sky Rangers have thrilled readers with their amazing adventures. 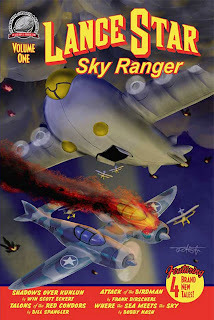 The first Lance Star: Sky Ranger pulp anthology was published by Wild Cat Books in 2004. Vol. 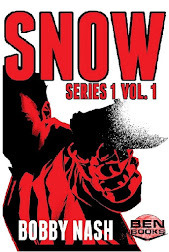 1 was reissued in 2006 by Airship 27 Productions and Cornerstone Books where they remain available today. 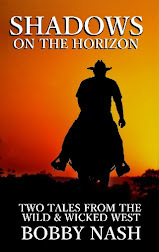 A second volume of anthology tales was released in 2009 and is also still available. 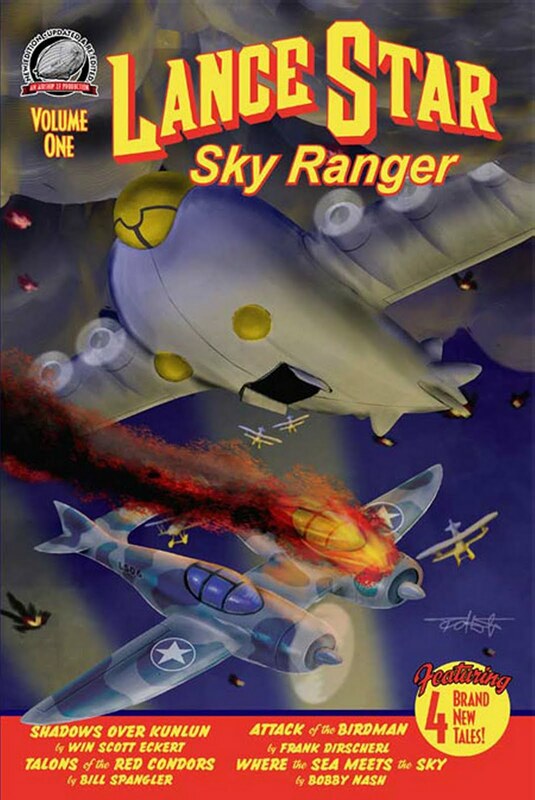 You can find out information on the Lance Star: Sky Ranger Pulp Anthologies, volumes 1 and 2 on the site. 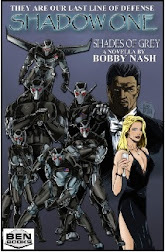 Additionally, Bobby Nash is currently working on the first Lance Star: Sky Ranger novel, "Cold Snap." 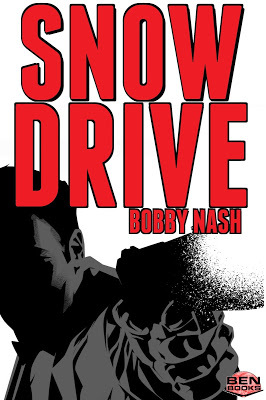 Nash says that he hopes "Cold Snap" and "One Shot" will be the first of many Sky Ranger projects to come. 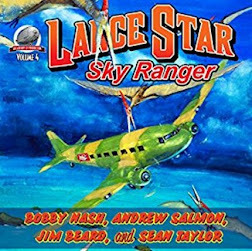 Lance Star: Sky Ranger Pulp Anthology Vol. 1 and Vol. 2 are still available at http://www.gopulp.info. Vol. 3 will premiere in 2011. 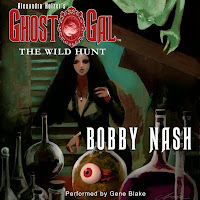 Bobby will be an attending pro at Dragon*Con September 2 - 5, 2011 in Atlanta. Look for him on panels and around the convention this Labor Day weekend. Find out more about Dragon Con at http://www.dragoncon.org. 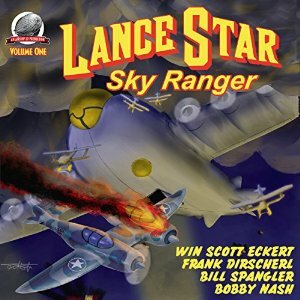 Lance Star: Sky Ranger Vol. 2 now available as e-book from the Airship 27 Hangar at a great price. Only $3. Visit the Hangar at http://homepage.mac.com/robmdavis/Airship27Hangar/index.html#lancestar2 for more information on this and other great Airship 27 e-books. 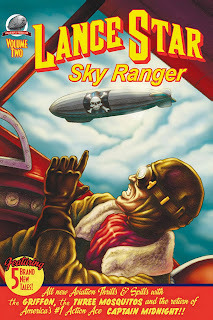 Airship 27 Productions and Cornerstone Book Publishers are buckling up for high flying pulp thrills as they announce the release of LANCE STAR – SKY RANGER Vol. Two. Five years ago, with Volume One, this long forgotten pulp hero returned with a bang in four action packed new stories. 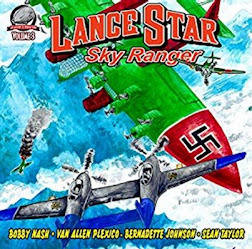 Once again its time to strap in to your seat belts and rev up your props, as Lance Star – Sky Ranger returns with another heaping of all out action, adventure thrills and spills high up in the wild blue yonder. And this time he’s accompanied by a handful of pulpdom’s greatest aviation heroes to include, The Griffon, The Three Mosquitos, and the undisputed Commander of the Clouds, America’s # 1 action ace, Captain Midnight! 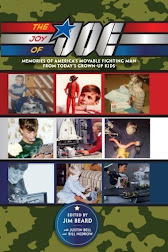 Writers Bobby Nash, Van Allen Plexico, Aaron Smith and David Walker pull out all the stops to bring you five pulse pounding tales of brave men and their flying machines as they fight our countries deadliest foes both at home and abroad. 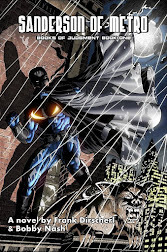 Here, for the first time, is the origin of Captain James Charles Albright and the mission from which he would become known forever as Captain Midnight. 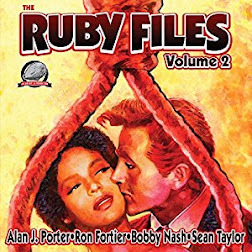 This volume contains a brief history of all these classic pulp fliers, interior illustrations by Rob Davis and a stunning cover by Shane Evans, Lance Star – Sky Ranger Vol.Two is the high diving collection pulp fans have waiting for. 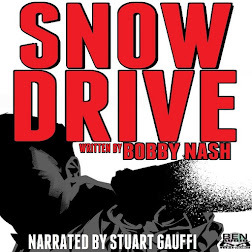 Brought to you proudly by Airship 27 Productions, pulp fiction for a new generation! Earth Station One boldy goes where no one has gone before. 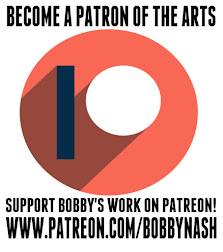 Bobby joins the Earth Station One podcast as they boldy go where no one has gone before. 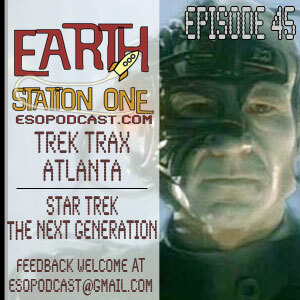 This weeks episode of the Earth Station One podcast, we come to you once again from Titan Game and Comics in Duluth, GA. Where we will be going back to the Star Trek universe and this time talk about Star Trek the Next Generation, and while we are are the same theme we will be getting a preview of the upcoming Trek Trax Atlanta coming the Weekend of February 18th – 20th at the Holiday Inn Atlanta Perimeter. 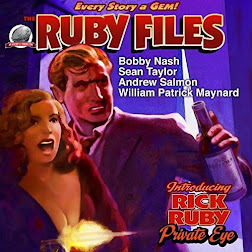 I'm honored to be nominated for Best Pulp Related Comic (Lance Star: Sky Ranger) in the Pulp Ark Awards. Artist James Burns and I put a lot of effort into the book and it's gratifying to see that readers are enjoying it.